We know that you have plenty of excuses to dress as a giant rabbit besides just Easter. Now we've decided to make it a little easier for you to do it! 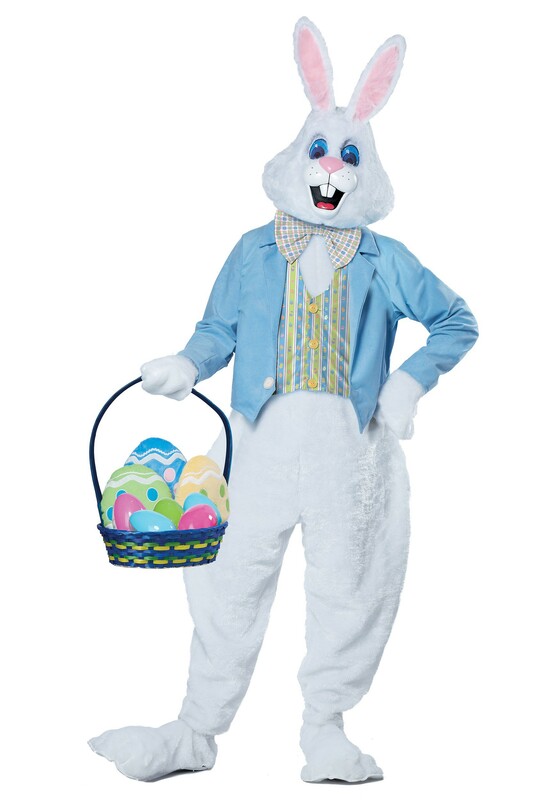 This Adult Deluxe Easter Bunny Costume is perfect for any occasion that you may need to dress as this dapper looking white bundle of joy. Now all you have to do is brush up on your hopping, egg hiding skills and basket weaving (Does Peter Cottontail make his own baskets? We're not sure.) This is obviously a perfect costume for the Spring time but you can also get a bunch of friends together to dress as all the different characters from different Holidays like Santa Claus, a turkey, and Father Time.